Nominated* for 10 Academy Awards and winner for Best Picture, it's the film that inspired a nation! Audiences and critics alike cheered this American success story of an "everyman" triumphing over all odds. Featuring a dynamic musical score, a thrilling fight sequence and four Oscar-nominated performances, this rousing crowd-pleaser will send spirits soaring. Fighting for love, glory and self-respect, Rocky® scores an exultant knockout! Rocky Balboa (Sylvester Stallone) is a Philadelphia club fighter who seems to be going nowhere. But when a stroke of fate puts him in a ring with the world heavyweight champion, Rocky knows that it's his one shot at the big time – a once-in-a-lifetime opportunity to go the distance and come out a winner! I just finished watching this one with my brother. It has been many years since I saw this movie. I actually forgot how much I enjoyed it! Sure there was some slow scenes in it... but even they kept me interested in the story. My mind didn't drift at all during the film. If there was anything I would have liked to have seen differently it is how the film ended. While I understand why it ended the way it did... and even enjoyed the way it ended.... I think I would have preferred it to end the opposite way. But if it did... it would have changed the entire second movie. We enjoyed watching this one so much this morning that as soon as it was over... my brother and I popped in the second film in the series. I highly recommend it! It's the rematch of the century as Rocky Balboa takes on Apollo Creed in this powerful follow-up to one of the most acclaimed movies in film history. Writer-Director-Star Sylvester Stallone succeeds in creating a powerful feel-good movie hailed as "a stunning effort in every way" (Archer Winston, New York Post). After club fighter Rocky Balboa (Stallone) goes the distance with the world heavyweight champion, boxing fans clamour for a rematch. But Rocky, having sustained massive injuries in the bout, announces his retirement. 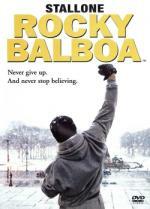 Though he tries to make a new life for himself, Rocky realizes that he can't escape his true calling. The ring beckons once more, and the "Italian Stallion" must prepare for the fight of his life. I must say... I enjoyed this one just as much as the first one. Once again there is some slow parts but slow or not... it kept my attention. The final fight scenes were great in this one as well. This is another one that definitely is worth the time put in to watch it. You all probably won't be surprised... that my brother and I decided to continue on to Rocky III. Rocky battles his most powerful adversary yet - the ferocious Clubber Lang (Mr. T.) - in this hard-hitting actioner that comes out swinging with adventure, humor and emotionally charged human drama. For what may be the most exciting and fast-paced film in the series, Sylvester Stallone writes, directs and stars with explosive passion and intensity. As Rocky Balboa (Stallone) fights his way into the hearts of millions, life couldn't be better. He scores ten consecutive wins, lands lucrative endorsement contracts, and becomes famous throughout the world. But when Clubber Lang K.O.s Rocky in a humiliating defeat, it becomes apparent that the "Italian Stallion" has lost his edge. Considering hanging up his gloves, Rocky receives encouragement from an unlikely ally: his old nemesis, Apollo Creed (Carl Weathers). With Creed's help, Rocky strives to regain the "eye of the tiger" before confronting Lang in a grueling rematch for the world heavyweight championship. My brother and I just finished watching this one. We really been on a roll on these films. This is the shortest of all the Rocky films. It is also one that isn't quite as serious... as dramatic as the previous two. While this isn't a bad thing I do prefer the previous two movies over it. I am not saying this is a bad movie... it isn't. Not at all. I still enjoyed it a lot. The biggest downer of this one for me is what they did with the character Mickey. Sure they needed to do it to tell the story the wanted to tell... but I still hated seeing it happen. Mickey was a great character played by one of my favorite actors.... Burgess Meredith. Once again... a movie I definitely recommend. I agree with you there. I am always shocked to see people liking Rocky IV. And totally disregarding Rocky V. I think Rocky V is under-appreciated and a hundred times better than Rocky IV. Rocky IV has the "honor" of being one of very few movies, which I gave only one star on these forums. While I understand what you both are saying... I still always enjoyed part 4 as well. Maybe not quite as much as I do the others... but still found it almost as good as part 3 anyway. I am watching it right now... so will just leave it at that for now. But I do agree... I also think part 5 was really under-appreciated. East meets West when Rocky takes on a vicious Soviet fighter who literally killed his last opponent! Sylvester Stallone writes, directs and stars in this war between nations in which the only battle is fought in a boxing ring. Rocky (Stallone) proudly holds the world heavyweight championship, but a new challenger has stepped forward: Drago (Dolph Lundgren), a six-foot four, 261-pound fighter who has the backing of the Soviet Union. This time, Rocky's training regimen takes him to icy Siberia, where he prepares for a globally-televised match in the heart of Moscow. But nothing can truly prepare him for what he's about to face - a powerfully charged fight to the finish in which he must defend not only himself, but also the honor of his country! Despite the obvious over-patriotic stance this film has... both my brother and I enjoyed this one very much. Just as much as we did part 3. I enjoyed the story... and I thought it has a couple good fights in it. I did hate seeing the fate of Apollo Creed. But once again this was needed to tell the story they were trying to tell. We keep losing the characters I like... but yet the character I so do not like (Paulie) remains there till the end of the franchise. I must say... I have been rather disappointed in the DVDs themselves. There is next to nothing on them when it comes to extras. Well... at least we do get the Theatrical Trailer on each disc. Guys... don't be surprised... after all I am also the one that likes Omen 4! There was an "Omen 4"? Yup... a very good one! I haven't seen any of the Rocky movies in years. 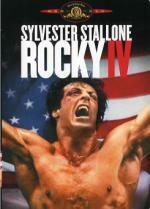 I did like Rocky IV when I saw it..though I hated what happened to Apollo. I haven't seen Rocky V or Rocky Balboa. With Rocky Balboa, I know that Adriene has died...I just don't want to see that. And yes I know it doesn't happy during the movie. I have issues. Sage Stallone as Rocky Jr. The "Italian Stallion" rediscovers his roots in this exciting, thrill-packed drama that reunites Sylvester Stallone with the Oscar®-winning* director of the original Rocky®. Upon returning home from his latest triumph, Rocky (Stallone) learns that all of his money has been lost by an unscrupulous financial advisor. To make matters worse, his fight-related injuries force his retirement from the ring. So Rocky, his wife Adrian (Talia Shire) and his son Rocky Jr. (Sage Stallone) move to their old low-rent neighborhood in South Philadelphia. There, the fighter must resolve the deep-rooted resentment held by his son, a bitterness that grows when Rocky trains Tommy Gunn, a young boxer who soon rises to national prominence. When Tommy turns against his mentor and publicly taunts him, Rocky knows he must fight once more. Looking at other reviews for this one surprises me a bit. This one is really an under-appreciated film. One that I enjoyed very much. It is my favorite since the first two. It is one that my brother and I disagree on... as this is his least favorite of the series. not that he didn't like it... he said he did very much... it is just his least favorite. I really liked how this one brings us back to where it all started. I also liked that they took the final fight out of the ring for this one... making it a street fight. Once again I want to say how I am disappointed in the extras for this set. No real extras included. Milo Ventimiglia as Robert Jr. Brother and I just finished off this one... which of course finishes of the Rocky franchise. While I don't think it was as good as the previous film... it is one I enjoyed every moment of. Even though I hated what they did with the Adrian character, I do understand the reason behind it. Though it is still a little aggravating to see 3 of my favorite characters go... yet a character like Paulie is there till the very end. Just like all the previous movies... I definitely recommend seeing this one. And if you haven't seen the Rocky films in year like I haven't you should definitely revisit the franchise! They are all well worth watching! Paulie still around...somehow that doesn't surprise me. I didn't exactly dislike him..but I wouldn't have minded if he was gone instead of some of the others. 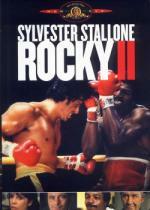 Rocky III was the first of the Rocky movies that I saw. I can't remember how old I was, but it really upset me when Mickey died..even without knowing the full history between him and Rocky. I just realized..I saw several sad movies when I was young for some reason..or at least what I thought was sad... maybe that's why I try to avoid sad stuff now if possible. And I still get very emotional at times.